They never had a mainstream hit of their own, but during rap's so-called golden age in the late '80s, Eric B. & Rakim were almost universally recognized as the premier DJ/MC team in all of Hip Hop. Not only was their chemistry superb, but individually, each represented the absolute state of the art in their respective skills. Eric B. was a hugely influential DJ and beatmaker whose taste for hard-hitting James Brown samples touched off a stampede through the Godfather of Soul's back catalog that continues up to the present day. Rakim, meanwhile, still tops fan polls as the greatest MC of all time. He crafted his rhymes like poetry, filling his lines with elaborate metaphors and complex internal rhymes, and he played with the beat like a jazzman, earning a reputation as the smoothest-flowing MC ever to pick up a mic. His articulation was clear, his delivery seemingly effortless, and his influence on subsequent MCs incalculable. Together, their peerless technique on the microphone and turntables upped the ante for all who followed them, and their advancement of Hip Hop as an art form has been acknowledged by everyone from Gang Starr to the Wu-Tang Clan to Eminem. While certain elements of their sound might come off as slightly dated today, it's also immediately clear how much of a hand Eric B. & Rakim had in leading Hip Hop into the modern age. 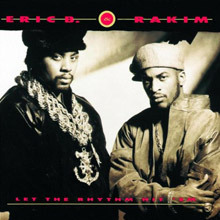 Eric B. was born Eric Barrier in 1965 in Elmhurst, Queens; his future partner, William Griffin, Jr., was born in 1968 and also hailed from the suburbs of New York, specifically Wyandanch, Long Island. At age 16, Griffin converted to Islam and adopted the name Rakim Allah. Barrier played trumpet and guitar early on, but switched to the turntables in high school, and eventually landed a job as the mobile DJ for radio station WBLS. It was there that he met Rakim, and the two officially formed a partnership in 1985. Their first single -- 'Eric B. Is President' (an ode to Barrier's DJ skills) b/w 'My Melody' -- was released on the tiny Harlem-based indie label Zakia. It was a street-level sensation during the summer of 1986, and the duo was picked up by the larger 4th & Broadway imprint. The equally monumental singles 'I Ain't No Joke' and 'I Know You Got Soul' sampled James Brown and his cohort Bobby Byrd, respectively, and their utter funkiness began to revolutionize the sound of Hip Hop. Moreover, Rakim's line "pump up the volume" on the latter track was in turn sampled itself, becoming the basis for M/A/R/R/S' hit of the same name. In 1987, 4th & Broadway issued the duo's full-length debut, Paid in Full; accompanied by a mighty underground buzz, the record climbed into the Top Ten on the R&B LP charts (as would all of their subsequent albums). Additionally, the British DJ duo Coldcut remixed the title cut into a bona fide U.K. smash. The exposure helped make 'Paid in Full''s drum track one of the most sampled beats this side of James Brown's 'Funky Drummer'; it provided the foundation for Milli Vanilli's 'Girl You Know It's True', among many other, more credible hits. On the heels of Paid in Full, Eric B. 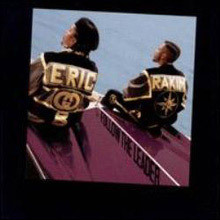 & Rakim signed with MCA subsidiary Uni and consolidated their reputation with another landmark Hip Hop album, 1988's Follow the Leader. The title cut took its place among the classic singles already in their canon, and Jody Watley soon tapped the duo for a guest spot on her 1989 single 'Friends', which brought them into the pop Top Ten for the first and only time. The 1990 follow-up Let the Rhythm Hit 'Em proved relatively disappointing from a creative standpoint, although 1992's slightly jazzier Don't Sweat the Technique was a more consistent affair that bolstered their legacy. As it turned out, the record also completed that legacy. The duo's contract with MCA was almost up, and they had discussed the possibility of each recording a solo album. Unfortunately, the resulting tension over the future of their partnership ultimately destroyed it. In the aftermath of the breakup, various legal issues prevented both parties from starting their solo careers for quite some time. The only recording to appear was Rakim's first solo cut, 'Heat It Up', which was featured on the soundtrack of the 1993 film Gunmen. Finally, in 1995, Eric B. issued his self-titled solo debut on his own 95th Street label. Rakim, meanwhile, signed with Universal and delivered a pair of acclaimed comeback albums, 1997's The 18th Letter and 1999's The Master. One of the most influential rap albums of all time, Eric B. &amp; Rakim's Paid in Full only continues to grow in stature as the record that ushered in Hip Hop's modern era. The stripped-down production might seem a little bare to modern ears, but Rakim's technique on the mic still sounds utterly contemporary, even state-of-the-art -- and that from a record released in 1987, just one year after Run-D.M.C. hit the mainstream. Rakim basically invents modern lyrical technique over the course of Paid in Full, with his complex internal rhymes, literate imagery, velvet-smooth flow, and unpredictable, off-the-beat rhythms. The key cuts here are some of the most legendary rap singles ever released, starting with the duo's debut sides, "Eric B. Is President" and "My Melody." "I Know You Got Soul" single-handedly kicked off Hip Hop's infatuation with James Brown samples, and Eric B. &amp; Rakim topped it with the similarly inclined "I Ain't No Joke," a stunning display of lyrical virtuosity. The title cut, meanwhile, planted the seeds of Hip Hop's material obsessions over a monumental beat. There are also three DJ showcases for Eric B., who like Rakim was among the technical leaders in his field. If sampling is the sincerest form of admiration in Hip Hop, Paid in Full is positively worshipped. Just to name a few: Rakim's tossed-off "pump up the volume," from "I Know You Got Soul," became the basis for M/A/R/R/S' groundbreaking dance track; Eminem, a devoted Rakim student, lifted lines from "As the Rhyme Goes On" for the chorus of his own "The Way I Am"; and the percussion track of "Paid in Full" has been sampled so many times it's almost impossible to believe it had a point of origin. 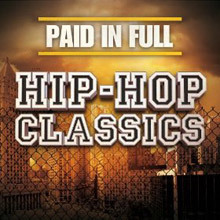 Paid in Full is essential listening for anyone even remotely interested in the basic musical foundations of Hip Hop -- this is the form in its purest essence. 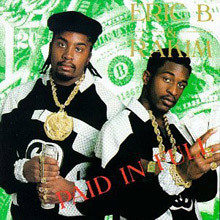 Starting with their 1986 debut, Paid in Full, Eric B. and Rakim earned raves for Eric B. 's often flawless, judicious productions and Rakim's serious yet relentlessly rhythmic rhyming style. This 1992 album finds the duo picking up from where they left off of 1990's Let the Rhythm Hit 'Em. "What's on Your Mind" has Rakim with intents to woo under a bubbling track. That track aside, Don't Sweat the Technique has Rakim in bleak spirits as thoughts of combat, revenge, and unfortunate "accidents" are not far from his mind. "Casualties of War" has Rakim as an all-purpose psycho with the unsettling hook, "I get a rush when I see blood and dead bodies on the floor." Although it's supposed to be gripping, the thought of a war-ravaged Rakim with his pistols blazing after hearing a truck backfiring is hilarious. All of Don't Sweat the Technique would be more disturbing if it wasn't for the brilliant ear of Eric B. who can cut the tension and exact magic out of a going-nowhere track. Although the lyrics and premise of "What's Going On" aren't extremely sharp, the cracking snare drums and low bass riffs are a perfect compliment to Rakim's delivery. The title track is also jazz influenced, but not as potent as the Simon Law and Mr. Lee's Funky Ginger remixes that don't appear here. Like many albums of this type, Don't Sweat the Technique ends on tracks of little distinction but it is another strong effort from one of rap's most respected acts. Having already revolutionized hip-hop, Eric B. &amp; Rakim came up with a second straight classic in their sophomore album, Follow the Leader, which basically follows the same blueprint for greatness, albeit with subtle refinements. Most noticeably, Eric B. 's production is already moving beyond the minimalism of Paid in Full. Follow the Leader finds him changing things up more often: dropping in more samples, adding instruments from musician Stevie Blass Griffin, and generally creating a fuller sound over his rock-solid beats. It's still relatively spare, but the extra sonic weight helps keep things fresh. For his part, Rakim wasn't crowned the greatest MC of all time for the variety of his lyrical content, and Follow the Leader is no different. Yet even if he rarely deviates from boasting about his microphone prowess (and frankly, he's entitled), he employs uncommonly vivid and elaborate metaphors in doing so. A case in point is "Microphone Fiend," which weaves references to substance addiction throughout in explaining why Rakim can't keep away from the mic. The album-opening title cut is one of his most agile, up-tempo lyrical showcases, demonstrating why he's such a poetic inspiration for so many MCs even today. "Lyrics of Fury" manages to top it in terms of sheer force, using the break from James Brown's "Funky Drummer" before it saturated the airwaves. And, of course, there are several more turntable features for Eric B. Follow the Leader may not have broken much new ground, but it captures one of the greatest pure Hip Hop acts at the top of its form, and that's enough to make the album a classic. One thing the rap audience will never be accused of is having the world's longest attention span. Even some of the most celebrated Hip Hoppers can fade in popularity after only a few albums. Eric B. &amp; Rakim were extremely popular in the mid- to late '80s, but by 1990, rap buyers were starting to lose interest in them. Not much different from Paid in Full or Follow the Leader, Let the Rhythm Hit 'Em makes rapping technique its number one priority. At time when West Coast MCs like Ice-T and Ice Cube were mainly interested in getting a political message across, Rakim's goal was showing how much technique he had. Rakim may rap in a deadpan tone, but "Step Back," "No Omega," and other tunes leave no doubt that he had sizable chops. There are a few message raps (including "In the Ghetto"), although Rakim spends most of his time finding tongue-twisting ways to boast and brag about his microphone skills. 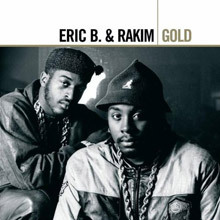 Gold is a 2005 compilation by Eric B. &amp; Rakim containing 21 tracks of hits and remixes. 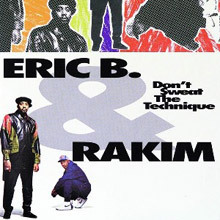 It includes the definitive versions of tracks such as 'I Ain't No Joke', 'Microphone Fiend' and the massive 'Don't Sweat the Technique'.